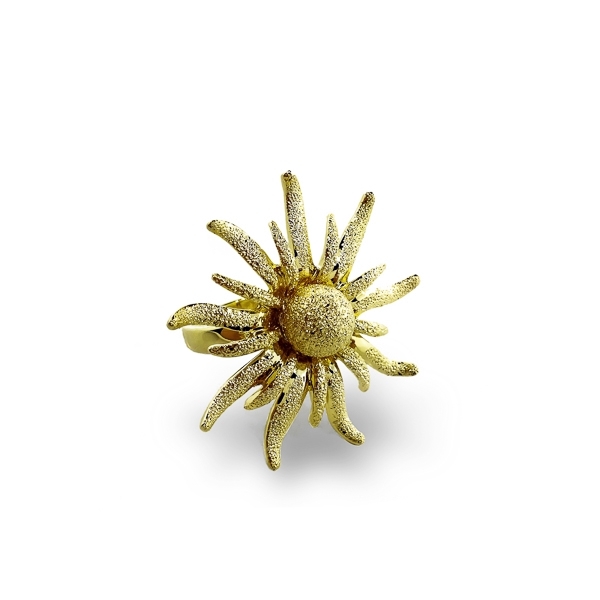 Description: Diamond bead textured starfish ring dipped in 14k gold plating with shiny finish, creates this plain but not so simple piece. The star sits on a high polish gold plated band for a comfortable wear. Material and Measurements: 14K Gold Plated Base Metal - Focal Point 1 1/4" X 1 1/4"
Enter Quantity for R-AE049 to add to your shopping cart.